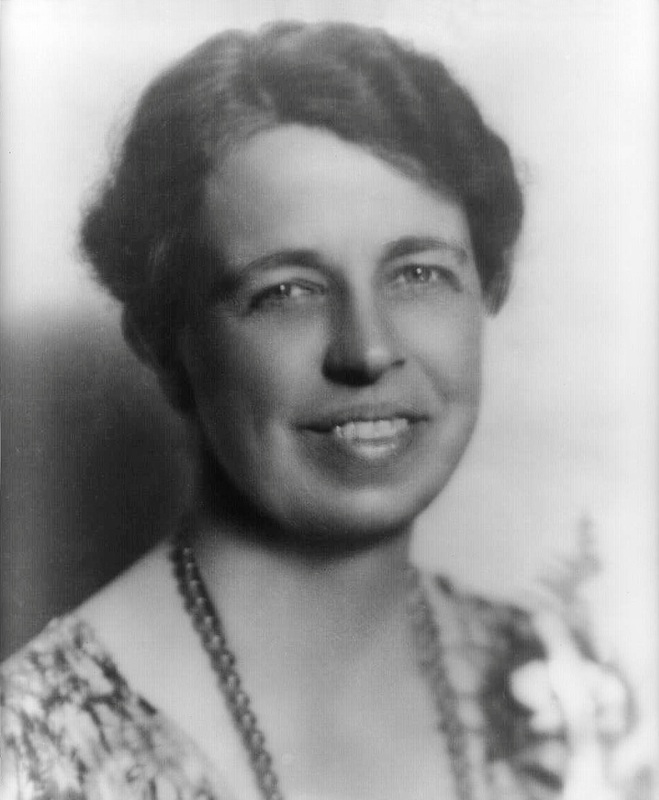 Eleanor Roosevelt was the wife of Franklin D Roosevelt, America’s President during WWII, and happened to be the niece of the 26thPresident of the United States, Theodore “Teddy” Roosevelt. An activist, politician and diplomat born in 1884, Eleanor was a strong supporter of civil rights, political refugees and children. She was the longest serving US First Lady and following her husband’s death in 1945, she was the US delegate to the United Nations General Assembly for almost a decade. In 1942 Eleanor visited Britain - which was subject to strict rationing, including food and clothing - and it was probably during this tour that the genesis of the idea which connects these two remarkable women developed. On the other side of the world in Britain, Margaret Cook and her sister, Joan were brought up in Sunbury, close to the Ealing Film Studios.During the War, British citizens were encouraged to write to servicemen who were overseas in the belief that this connection with home would remind them that they were not forgotten. Margaret began corresponding with an RAF serviceman, Bill Wood, who was stationed in the Middle East. When Bill eventually returned home, they became engaged. During this time, Margaret also enlisted in the Women’s Naval Service as a WREN and was involved in the assembly of barges for the “D Day” invasion of occupied Europe. Strict wartime rationing limited the couple’s wedding plans. Whilst stories abound of the use of purloined parachute material for wedding dresses, bartering of materials and pooling of coupons became common. Meanwhile, Eleanor Roosevelt had not forgotten the plight of British women, that she had witnessed during her visit. She developed the idea of approaching American women who had stored their wedding dresses for years to loan them to British brides and develop a ‘pool’ of dresses which could be passed on to others. The WRNS Commanding Officer of Margaret’s unit became aware of this offer and suggested that Margaret make an application for a dress. This was clearly a much-preferred alternative to the pink brocade curtaining which Margaret had received in exchange for some pyjamas! The pink brocade did not go to waste and became a bridesmaid’s dress for Margaret’s sister, Joan. A number of wedding gowns were forwarded to the Base in response to Margaret’s application and many were quite elaborate, but Margaret chose a beautiful soft chiffon dress to wear on her wedding day. Incredibly, that dress was the very dress that Eleanor Roosevelt herself had worn on her own wedding day. The day after the wedding the gown was returned to the US Embassy, while Margaret’s family were left to wonder how many other brides were to share her experience. After a life of service both to her nation and indeed the world, Eleanor died in 1962 at the age of 78. Margaret and her husband Bill were destined to follow their son to settle in Ballarat. Sadly, Bill passed away shortly after their move, but today 94-year old Margaret continues to flourish as a happy and generous member of the Air Force Association’s Ballarat Branch. She remains a fountain of information and has endless interesting stories of her life experience, particularly during the war years. Below: The wedding of Bill Wood and Margaret Cook: (L to R) Best Man, Len; LAC Bill Wood; Margaret in her First Lady wedding dress; Margaret’s sister, Joan.